What is the Royole Moon? The Royole Moon is a 3D mobile theatre that is designed to give a virtual big screen experience using a specially designed headset. 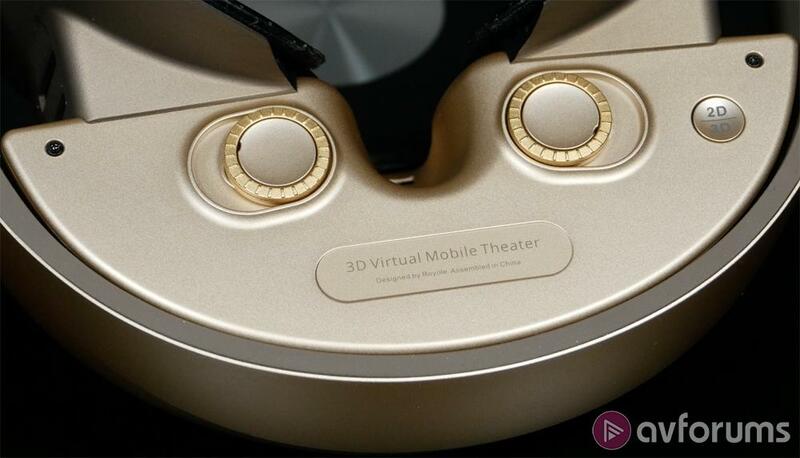 However despite its appearance, the Moon is not a VR (virtual reality) headset like Sony’s PSVR or the Oculus Rift but instead is designed to create the impression that you are looking at a huge cinema screen. As a result you can watch 2D and 3D movies or play games without having to own a big screen TV or projector. To reproduce the effect of a home cinema on your head, the Moon uses two Full HD 1080p OLED screens – one for each eye – which can create the impression that you’re looking at a giant curved screen up to 800 inches in size. 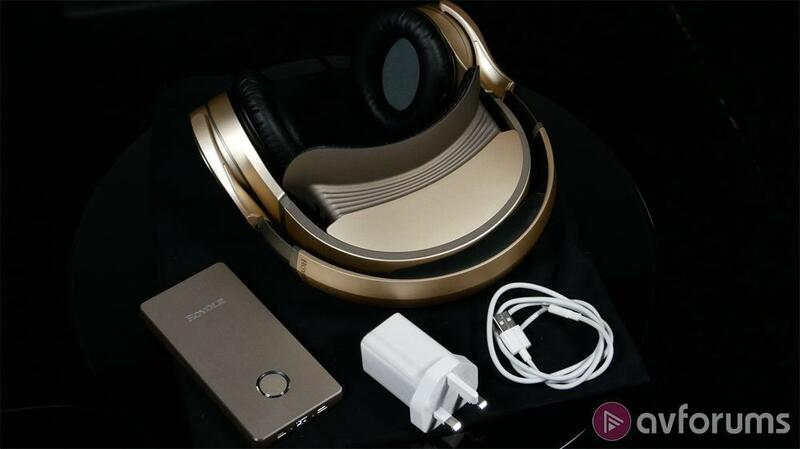 There are also built-in active noise-cancelling headphones for the audio side of things which, when combined with the headset, help to cut you off from the outside world and immerse you in whatever content you are watching. 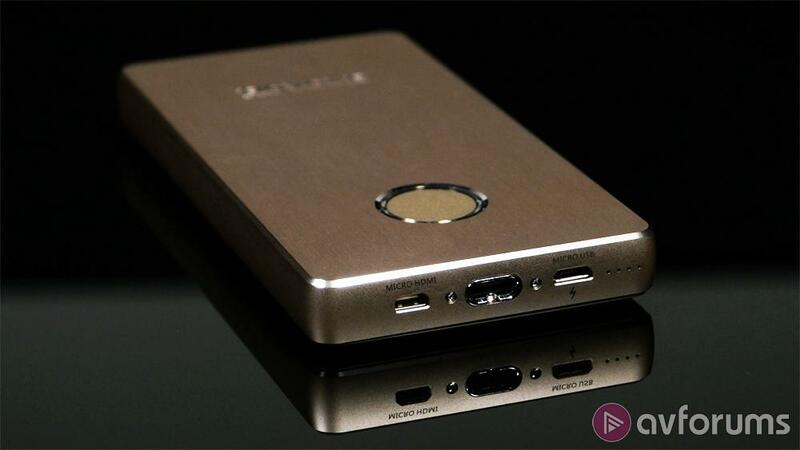 The Moon includes an Android-based operating system and storage, allowing you to load your own content, as well as access streaming services and connect a Blu-ray player or games console via HDMI. The headset can be conveniently folded up for when you’re travelling, allowing you to use it on a plane or perhaps in a hotel room. The Royole Moon is certainly an impressive piece of technology but it isn’t cheap, with a current price of £895 as at the time of writing (April 2018). So does the Moon do enough to raise it above simply being a gimmick, can it justify the price tag and will it deliver a good enough audio and video experience to make it a viable alternative to a large screen TV or projector with a sound system. Let’s find out. When you open the beautifully packaged Royole Moon there is a small box that contains a UK and a European style plug with a USB connector. Once you have removed this box and a cardboard cover you will find the headset itself. Beneath this there is the control unit and a cable for connecting this unit to a USB device or the provided power plugs. There is also a soft cloth carry case for the headset, thus emphasising Royole’s claim that the Moon is a mobile product. 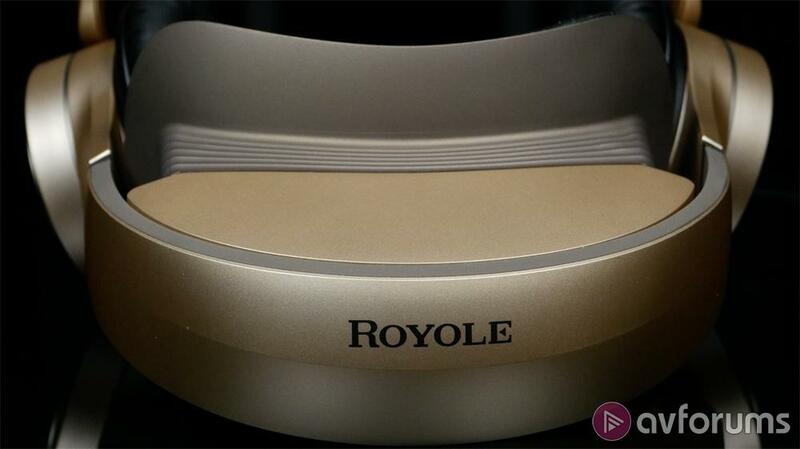 At first glance the Royole Moon looks identical to a number of the VR headsets on the market but on closer inspection you quickly realise that it’s very different. 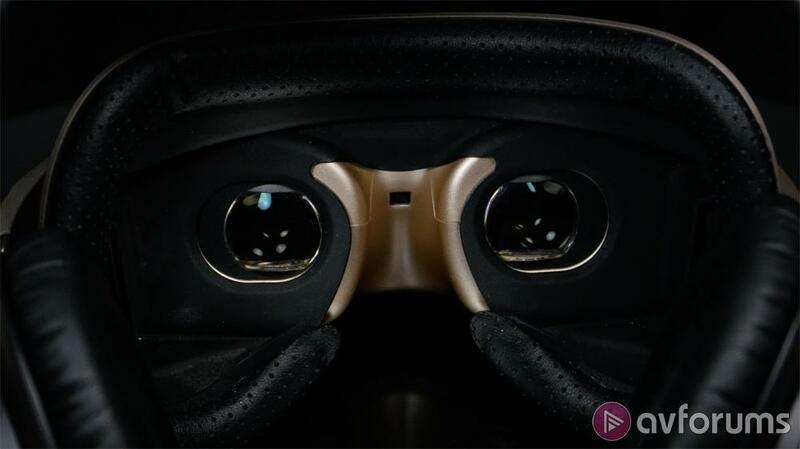 For a start it’s much better made than the VR headsets that we’ve reviewed to date and that sense of quality goes some way towards justifying the cost. 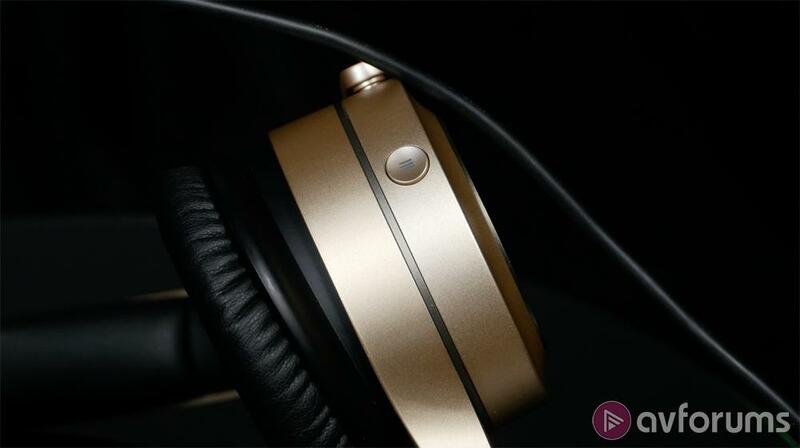 The headset has a large padded headband, similar to the kind of thing you’d see on a high-end pair of headphones. You can adjust this headband to ensure the Moon is comfortably positioned on your head and that the padded headphones cover your ears. The headband bears most of the weight and we found that the Moon was comfortable to wear for the length of a two hour movie. The OLED screens and their corresponding lenses are built into a visor can be moved backwards or forwards, depending on the size of your head. The visor cradles your face and acts as an immersion mask that is lightweight and padded to ensure a tight but comfortable fit that shuts off the outside world. The mask is also breathable to stop the lenses from fogging up whilst you’re wearing the headset. However if the headset is cold then you will find the lenses fogging up, at least until the temperature has equalised. There is a proprietary cable that runs out of the rear of the headset that is 1m in length and controls for focus and inter-ocular distance underneath the visor. The headset can be folded up for storage in the provided bag when travelling thus allowing you to take the Moon on a plane or to entertain the kids on a long car journey. The headset comes in a choice of black with a matte finish, red with a matte finish and white with a high gloss finish; and as an added touch there is a pulsating logo ('breathing light') on the side of the headphones. The headset measures 215 x 220 x 223mm when extended and 134 x 67 x 15mm when folded up. The lightweight control unit is also very well made and comes in a choice of gold, silver or grey. The 6000mAh battery provides you with up to five hours of movie watching or video game play from a single charge. The quick charge system incorporated into the unit is similar to those found on smartphones and you can fully charge the battery in two hours or less. The Moon boasts an impressive set of features, starting with the two AMOLED displays that deliver the images to each eye. They're both Full HD 1080p, with a claimed contrast ratio of 10,000:1, 3000PPI (pixels per inch) and a 0.01ms response time. The Moon can display both 2D and 3D content and is designed to give the impression you're watching a giant 800" screen from 20m away. The viewing angle has also been optimised, whilst the light-proof immersion mask blocks out any unwanted ambient light. The headphones use an active noise cancelling design with a precise self-adaptive mechanism that can reduce ambient noise by 92% or 22db. So when combined with the light-proof immersion mask, you can completely cut off the outside world. 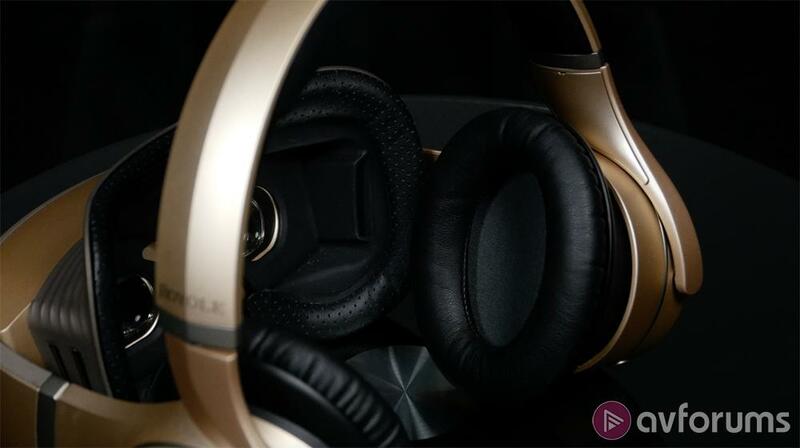 The headphones also have a high fidelity audio performance with a wide frequency range and a low distortion rate, as well as algorithms to accentuate bass performance. As already mentioned, the Moon can also be folded up so you can take it with you when travelling. The control unit not only has a five hour battery life but it also has built-in storage, allowing you to load movies and other video content, along with personal images and music. 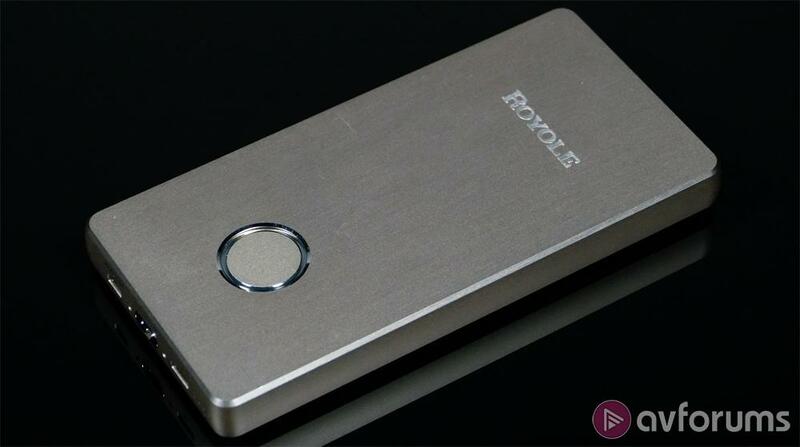 Royole claim that this built-in storage is 32GB but in actual fact the usable storage is 26GB. The Moon includes a number of options when it comes to connections, including WiFi (IEEE 802.11b/g/n @2.4GHz), Bluetooth (BT2.1+EDR / BT3.0), Micro USB and Micro HDMI. The Moon uses an Android-based operating system which is intuitive to use and easy to navigate. The menu system allows you to access content stored in the onboard memory, as well as from any connected devices which can be connected via HDMI, USB or Bluetooth. There is also built-in WiFi which, along with the USB connection, can be used to transfer content to the onboard memory. You can also use the WiFi to access streaming services (YouTube was available on our review sample) and a web browser. The Moon supports 24-bit RGB, has a 60Hz refresh rate and includes 2GB of RAM. In terms of supported formats it can handle MP4, MKV, MOV, AVI, 3GP, FLV, M2TS, M2V, M4V, MPEG, MPG, TS, VOB, WEBM and ASF for video formats, MP3, WMA, AAC, APE, M4A, MID, MP2 and OGG for audio formats and JPG, PNG, BMP and GIF for photos. The headset and visor can be adjusted to fit your head and once you're comfortable, you should be fine for the duration of a two hour movie. However the headset is heavier than the VR units that we've tested, so you might find that you're more aware of the headset's presence over time. The padded headband helps in this respect, as do the soft padded headphone covers that comfortably cover the ears, helping to cut out ambient sounds even before the active noise-cancelling mechanism has been engaged. The soft padded immersion mask is also very comfortable and highly effective at blocking out any ambient light. One feature that we really like is the ability to actually focus the lenses, which means those who wear spectacles can remove them before putting on the headset. There are controls under the visor for adjusting the focus (from -7.0D near-sightedness to +2.0D far-sightedness) and the inter-ocular distance (the distance between your pupils) to ensure a sharp image and perfect 3D. 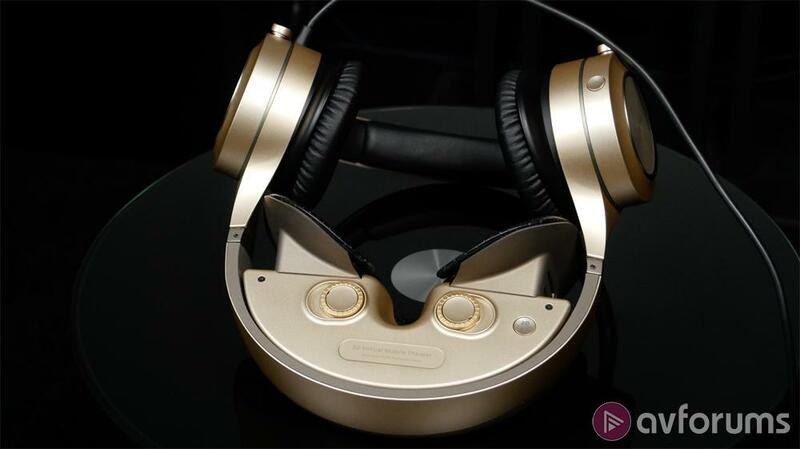 On the underside of the headset there is also a button for selecting 2D or 3D from a specific source, as well as a button on the bottom of the right headphone for pulling up the Moon's menu. You turn the headset on by pressing the only button on the control unit – a long press for on and a short press for off. Since you can't see anything with the Moon on, it's best to either turn the unit on before putting on the headset or make sure you have this unit easily to hand. However once the unit is actually on, all the other controls are on a touch sensitive pad on the outside of the right headphone. To navigate the menu system and play content you can swipe up, down, forwards or backwards, as well as a single tap to confirm and a double tap to return. You can also use clockwise and counter-clockwise swipes to turn the volume up or down. When you first turn the headset on the menu system takes you through setting up the focus and inter-ocular distance, as well as connecting to your wireless network and any Bluetooth devices like your phone. If necessary you can update the firmware once you are connected to the internet and you can also open the web browser or access any available streaming services. In terms of inputs there is a Micro HDMI port (so you'll probably need an adapter unless you already have a suitable cable) for connection to a Blu-ray player or games console, as well as a Micro USB port for recharging the control unit and loading content to the internal storage. There is also a proprietary connector for actually connecting the headset itself to the control unit. The Android-based operating system offers a menu with options for selecting WLAN, Settings, YouTube, Videos, Royole Lounge, Music, Pictures, Browser and File Explorer, as well as any connected device. In the Settings sub-menu you can set up the WLAN, Bluetooth and Multiscreen feature, along with Display, Sound, Power and System. In the Display menu there are options for Brightness (Soft, Normal and Bright), Eye Rest Reminder (Off, Every 1 Hour and Every Two Hours) and 3D (Left/Right and Red/Blue). Under Sounds you can turn the System Sounds on or off, whilst in Power you can set Standby to 5, 15 or 30 minutes and turn the Breathing Light on or off. Finally under System you can select Languages, Time Zone, Time, Input Method, Storage, USB Connection Mode, Software Update, Reset and About. When we first started using the Royole Moon, we discovered that there were various Sony 2D and 3D video clips already loaded such as the trailer for The Amazing Spider-Man 2. So we started by watching these clips, all of which looked impressive on the Moon. Despite Royole's claims that the Moon creates the impression of watching a huge 800-inch screen from 20 metres away, we never really felt the images had that level of immersion. However it was certainly akin to watching a very large TV from a sensible viewing distance and the visor and headphones certainly isolated you from the outside world, allowing you to concentrate on the audio and video. In terms of the video the Moon impressed, delivering detailed and colourful images with deep blacks and an impressive dynamic range. The use of a 60Hz refresh rate didn't cause any motion issues on the content that we watched and overall the visual experience was excellent. The colours did look a little oversaturated and there's no opportunity to calibrate the images but in general we found that the individual OLED screens for each eye really delivered an enjoyable series of images. We connected the Moon to a Blu-ray player and watched a few test discs, as well as scenes from Gravity, and the headset did a job of delivering some lovely looking images. However where the Moon really delivered was in terms of 3D and with a separate OLED screen for each eye there was absolutely no crosstalk whatsoever. In fact this was probably the best 3D we have ever seen with exceptional depth and clarity, combined with highly detailed images. The fact that you don't need to wear 3D glasses means that the images are also very bright with fantastic dynamic range thanks to the OLED screens. It's a shame that 3D is being phased out because the Moon shows the true capabilities of the format. In a scene like the floating sacred seeds in Avatar, the results were simply jaw-dropping as they floated in front of you with depth, definition and absolutely no crosstalk. If the video performance was impressive, then so was the audio side of things. The headphones delivered the bombast of the Avatar soundtrack with an excellent frequency response and plenty of bass. The performance was restricted to stereo, with no real sense of any surround effects but there was excellent separation, clarity and detail in the audio. The highly directional nature of the Gravity soundtrack was a good test of the limitations of listening with headphones but the audio was enjoyable nonetheless. The noise cancelling was also very effective and listening to music from our iPhone showed that the Moon's headphones were more than capable in this area as well. However despite all the impressive technology in the Royole Moon and the excellent audio and video performance, we do have our reservations. First of all you need to be comfortable being completely isolated from the outside world. This in itself can be disconcerting but it also creates other problems such as not being able to find or use the remote for a connected Blu-ray player. The same was true if you used the Moon for gaming, which you certainly can, and whilst the experience could be fun and the headset was responsive it presented certain issues. Basically, as long as you don't need to look at the game controller then you're fine. However if you need to look down for any reason, well... you can't. It's this aspect of using the Moon that we found hard to adjust to and you'll be surprised how difficult things are when you can't see the outside world. In addition the Moon, by its very nature, is unsocial and probably best used when you're on your own. We certainly wouldn't feel comfortable using the Moon on public transport like a coach or train for obvious reasons. You could possibly use it on a plane but modern planes tend to have very extensive entertainment systems of their own and once again you can't see or hear what's happening around you. You could possibly use the Moon in a hotel room when travelling or perhaps to keep a child amused on a long car journey but ultimately we wouldn't really consider the Moon to be genuinely mobile. The Royole Moon is something of a curate's egg and whilst it certainly includes plenty of cutting-edge technology and useful features, we're not really sure who it's aimed at. The images produced by the two OLED screens were very impressive, especially where 3D is concerned, and the headphones also deliver decent sound quality. In addition it's sensibly designed and well made, whilst there are also some nice features and plenty of connection options, making the headset itself easy to set up and intuitive to use. However the Moon is also extremely effective at isolating you from the outside world and whilst that might be the point of the headset, it can be rather disconcerting. Not only does it make it difficult to even locate things like remote controls whilst wearing the headset, it also makes it hard to genuinely use whilst on the move. By its very nature the Moon is also rather anti-social and we struggle to think of situations where it would actually be practical. In addition it's not cheap and thus limits its target audience even further because it's too expensive to buy simply out of curiosity. It does have a certain niche appeal if you're a fan of 3D but, given that it's over twice the price of a genuine VR headset, the market for the Royole Moon remains decidedly limited. Write your Royole Moon VR Headset review.